2015 has all chances to bevome the year of more practical wearables, especially with the wide range of new smartwatches with Apple Watch at the head. But what is the meaning of these new devices for the e-commerce? To answer this question, we will show how wearables can be used in digital commerce and retail environment. Wearables are very convenient for the creation of user-generated content. Audios, photos, and videos can be done with ease. Of course, everything depends on the gadget, but if we are talking about more practical wearables, their functionality should be enough to generate the aforementioned content. Thus, wearables will push a new wave of recorded in-store shopping experiences, product photos, and unboxing videos. All this content can be beneficial to retailers as they can use it for promotions within their e-commerce websites. Push reminders and notifications also play important role in wearables integration into e-commerce. Retailers get a new tool of delivering customized messages to their clients. And there is no need to access smartphones to view them. Such devices as Apple Watch enhance the opportunities in information delivering. As a result, e-commerce businesses will be able to increase the advantages of their promotions, shipping updates, and abandoned cart situations. The important feature of such wearables as smartwatches is application market. 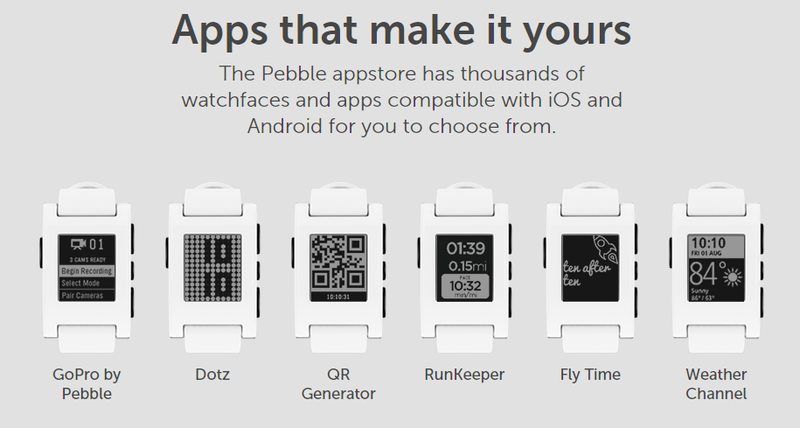 For example, Pebble owners can download compatible applications directly from the Pebble app, which is an example of an app store for a wearable device. And every app store is an example of e-commerce business. In its turn, email marketing gets the new dimension with wearable devices. 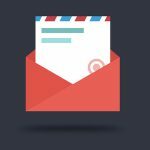 It began as a desktop only experience, but chances are that by the end of the year we will see smaller and more impactful emails with less text designed for small screens of smartwatches. With wearables both retailers and buyers get a simplified payment process. Thanks to NFC capabilities, in-store purchase will be easier and faster. In addition, there will be an extra access to codes and coupons scanning. Despite some wearable devices support typing, they are designed for other types of input. Speech commands and image-recognition technology are more preferable for such tiny gadgets as smartwatches. This aspect opens new opportunities for price comparison and availability. Thus, retailers will be more vulnerable to competition, as customers with wearables will always have the most current information about products. Besides smartwatches there are different fitness trackers and wearables for sports. And they produce a lot of information about their owners. This information can be used in a creation of custom products or custom offers. For example, fitness tracker can tell if its owner is addicted to running or cycling. Retailers can use this information to create a special personalized offer. Thus, the available level of customization and personalization can expand greatly thanks to wearables. Asyou can see, wearable devices have a unique spectrum of capabilities. The aforementioned features can be leveraged by e-commerce businesses and retailers as the popularity of wearables grows. It’s obvious, that the relationship between tiny devices and the retail industry evolve in the forthcoming years. But are wearable devices the future of e-commerce? Would they turn into a major consumption tool or get the secondary functions? Chances are, that the future devices and applications for wearables will differ from current predictions. The technology is already in the hands of creative developers, so nobody knows what will emerge. In e-commerce, wearable technologies face two big challenges: the use of tiny gadgets for the delivery of content, that is valuable for their owners. Such content will be even more valuable because it is delivered on a wearable device. And the development of fully responsive e-commerce websites that meet the requirements of wearable devices. There’s a risk that wearables could go the same way as 3D TV that hasn’t taken off. Website designers and marketers should focus more on the consumer experience to make wearable devices not only beautiful, interesting and unexplored, but also useful and unobtrusive in everyday life. There should be a significant benefit from having content delivered via smartwatches or other similar devices to turn them into a major consumption tool. Device adoption by consumers and businesses. Being a new way of selling products, contextual commerce relies on understanding a specific environment and associated needs of a consumer. Location-based offers can be a good example. Sent by retailers that track a consumer’s location with the help of data from consumer’s smartphone, such offers are much more precise to the preferences of the consumer. Retailers correlate all the data in real-time, so the right promotion appears on consumer’s mobile device at the right time. Wearable devices enhance this capabilities by adding more context. Wearables that track health metrics and fitness levels could be easily connected to offer promotions on fitness gear, as in the aforementioned example. With the real-time contextual information, the offers would be more personalized. 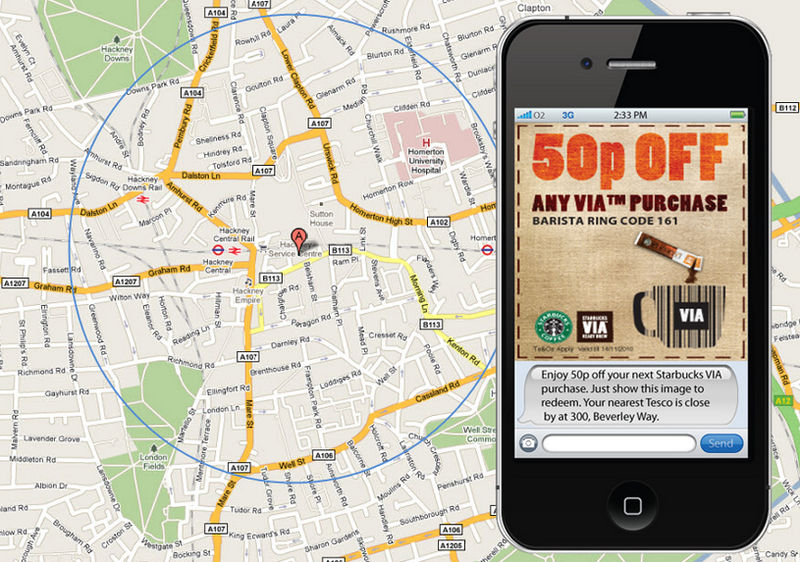 Though, there are a lot of possibilities for the location based marketing, this niche is occupied by smartphones. Users still have to get out their phones and perform some actions, so wearables can make this process more passive. 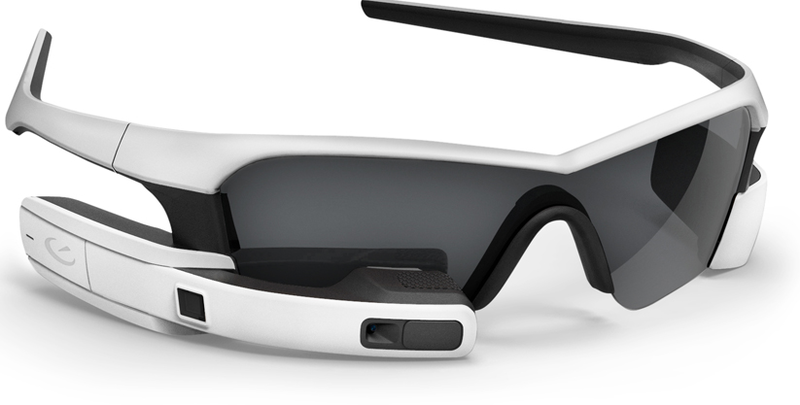 There’s also an opportunity with smart glasses and augmented reality glasses to take showrooming to the new level. Sounds like sci-fi, but there is an possibility for consumers to review goods without having to contribute much to the process in the nearest future. With the right wearable, it will be necessary only to look on something and the device will provide all the necessary information about the object (like in Terminator movie). The integration of wearables into e-commerce is a gradual process. According to eConsultancy, 55% of businesses have responsive websites – almost half still don’t. Even being responsive doesn’t mean, that e-commerce website faces no problems. It should also get the highest possible conversion rate. But in our case the problem is in optimization for wearables. We still don’t know how responsive e-commerce websites would work on smart watches and smart glasses. Businesses will use e-commerce apps and wearable optimized sites only if they create new sales. Nobody wants to invest money just in a cool technology, without any warranties of return. 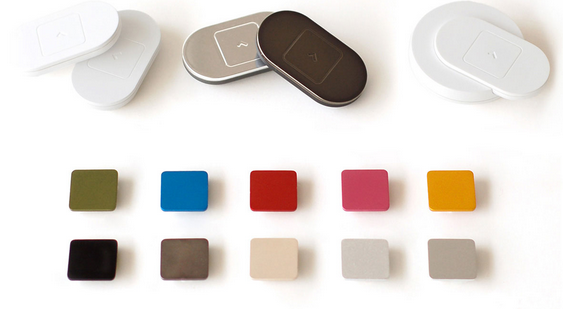 The Lift by Lumo Bodytech is a small wearable designed for better posture. It doesn’t have any direct influence on e-commerce, but will vibrate to help you train your shoulders, back and head. As a result you will get a perfect posture. The Lift can be controlled by iPhone or Android smartphone. 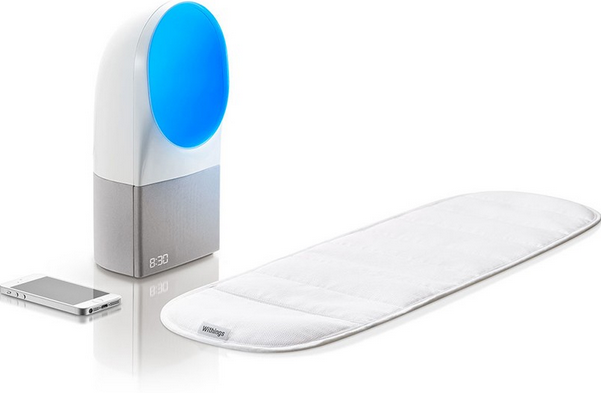 With Owlet Smart Sock you will be able to see your baby’s breathing from the smartphone. 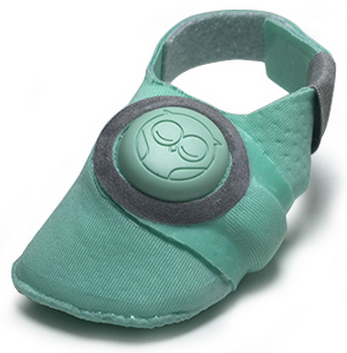 Gadget alerts you if baby’s oxygen level and heart rate are outside the norm. It’s a kind of health and activity tracker mounted into the sock. Owlet Smart Sock have no direct influence on e-commerce, but gadget’s app can be a place for more personalized offers. For example, it can display ads with health care goods for children. 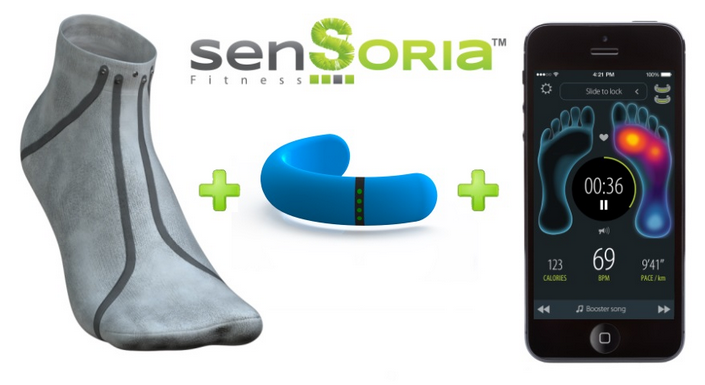 Sensoria produces two interesting gadgets – a pair of smart socks and a smart bra with a heart rate monitor. These products are targeted at the semi or professional athletes, but everyone can use them to improve sport results. In e-commerce, both wearables can be also used for more personalizer offers, because they can identify their owners as avid athletes. Withings Aura is a sleep tracker. The benefit of such wearable devices for e-commerce is obvious. Sleep trackers gather a lot of data, which is useful for the creation of personalised offers. If wearable owner sleeps bad, the dedicated app shows this. At the same time, it can also provide some useful solutions, which wearable owner can purchase directly from the smartphone. Whistle is another tracker. This time the device is designed for pets. The influence of Whistle on e-commerce can be the same as in a case with aforementioned wearables. 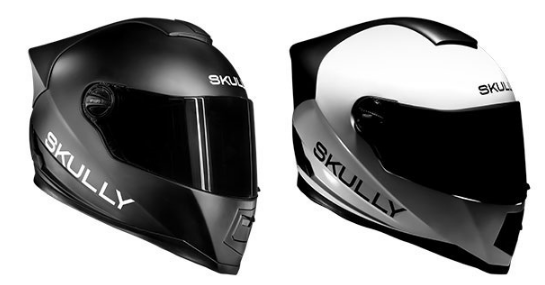 Skully is a smart helmet for motorcyclists. It is equipped with sensors, optics and cameras. This wearable device provides its owners with navigation, voice calls, rearview monitor, and other useful features. Skully can become a source of important data necessary for the creation of personalized offers. Large scale personalisation. A world where full personalisation is almost here. The new conditions are possible as a result of data gathering from interconnected devices, especially wearable devices. Major e-commerce players already rely on advanced recommendations and different personalisation algorithms communicating with their users on desktop, tablet and mobile. User experience on Facebook and other social networks is highly personalized. The same is about Google search results. Netflix is another example of digital personalization. The company spends millions of dollars every year on maintaining the content recommendation tool. As you can see, personalisation is a big business and the use of wearable devices in it is obvious. During the next three years wearable market will reach the milestone of $12 billion. Because of its great potential, this market is already attractive for investment. Unobtrusive checkout. Wearable devices will play a great role in transferring online interactions into offline. A wrist wearable gives much more freedom during checkout than a smartphone does. And the process will be lightning fast, as a time sensitive call to action followed by a fingerprint or watchface scanning can significantly reduce time required for the checkout with a smartphone. Geo-targeting. Geo-targeting with bluetooth powered beacons will also open new abilities. Storeowners will communicate with people through their wearables. Beacons will trigger deals when wearable owner goes nearby. Virtual Reality. Virtual Reality devices are not so popular as smart watches, but such gadgets as Oculus-powered 3D headsets have all chances to implement some dramatic changes in e-commerce. The first use for 3D headsets is immersive gaming. 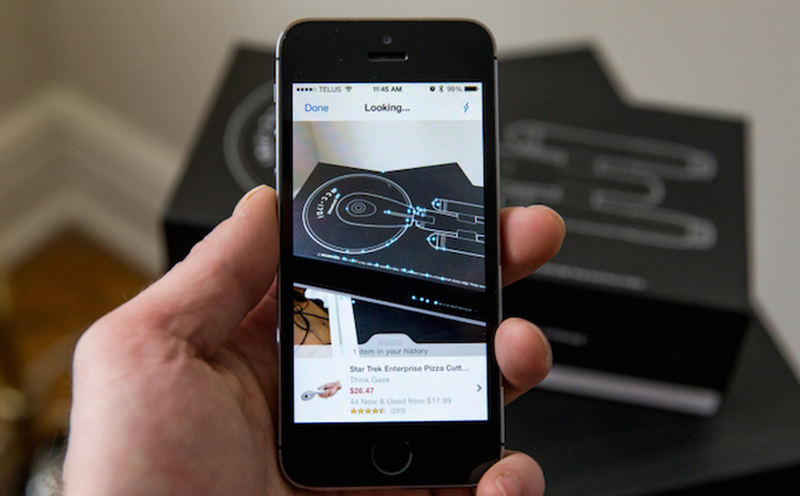 But what about immersive online retail? With 3D headsets, it is also possible. You will be able to turn your living room into a showroom, and make a test drive of a car online. Increased sales. By the end of 2015 sales of wearable devices are predicted to increase by 129%. Of course, it is too early to talk about wearables as a new e-commerce channel, but smart marketing managers should already pay their attention to the new market. They should understand how to use wearables to create the new generation of user experiences in a future, which is so close we can nearly see it. In this part of the article you will find all current information about Apple Watch and its impact on e-commerce. Apple’s new wearable device promises to make you more productive. It can pull in notifications from iPhone, supports voice commands, and provides the ability to use Apple Pay from your wrist. So how can Apple Watch change e-commerce? All text messages, calendar notifications, emails, reminders and other alerts moves from iPhone to Apple Watch. The feature is extremely useful for business users who can’t afford to miss an important message. The feature is also useful for store owners who rely on geo-targeting. Instead of swiping plastic credit cards or forking over cash, Apple Watch owners can use Apple Pay. With this feature, they are able to buy items or pay for services by scanning smartwatch, which includes NFC chip that works with contactless point-of-sale devices. But first of all, it is necessary to link Apple Watch to the bank account and pair the wearable with iPhone 5, 5c, 5s, 6 or 6 Plus. American Express, MasterCard, Visa and other companies already support the new technology. Apple Watch with its features could help similar devices and even such services as Google Wallet take off and change the way we pay. Android Wear wearables focus mostly on notifications and voice commands. In its turn Apple Watch lets you launch applications right on your wrist. There should be tons of apps in the nearest future designed for the device, including some e-commerce applications. The American Airlines app already can help you check in within one tap. Amazon is also working on a new version of its shopping app designed for Apple Watch. With this new app, customers will be able to shop at the e-commerce platform with a single click. The application will allow smartwatch owners to search for products from their wrist and buy them with the help of Amazon’s 1-Click ordering system. There is also a similar application for Android Wear, which supports voice search, Amazon Wishlist, and quick checkout. Chances are, that within the next couple of years the adoption of wearables could increase drastically. Dozens of manufacturers are already coming out with wearables. Of course, most of these devices are not adopted for e-commerce, but it is only beginning. 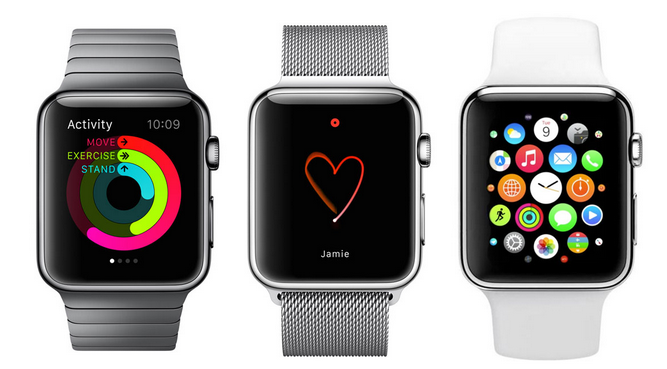 Analysts are predicting 30 million Apple Watch devices to sell in the first year. Keep in mind, that there are also Android Wear, Tizen and other platform, so the number of wearables owners will dramatically increase in the nearest future. At the same time, mobile payment technologies are getting adoption within wearable devices. We can also see the increasing competition among manufacturers that leads to better devices and lower prices. The Apple Watch app store is now live, first devices are going to be shipped to their users, developers are working tirelessly on new ecosystem of apps. The new smartwatch has already caused the wave of inevitable changes on the market. Retailers believe that consumers will massively choose the new platform for the interaction with smartphones, different digital content, and outer world. eBay, as well as other market players, is trying to simplify all aspects of shopping. The company began with desktop devices, then made emphasis on mobile experience, and now is going to grab wrists of its customers. The eBay application for Apple Watch will change the way the e-commerce and online shopping are implemented (the same happened to smartphones several years ago). The new app will provide its owners with the ability to follow auctions in real time. With the help of notification system, they will never miss a sale. People wear their watches everywhere during all times of the day, so why should they change this habit in a case of smartwatces? The only reason is the necessity to charge a battery. In all other cases the device is on the wrist. Just tap and you’ve made a bid. But what is about shopping? As you can see, participating in an auction is not only possible on a small screen of Apple Watch, it makes a sense on the device. Unfortunately, a pure shopping experience doesn’t seem as real. It is possible on paper, but there are a lot of difficulties associated with tiny screen of Apple Watch. Nonetheless, there is a Zulily’s example. The company provided its customers with the application for Apple Watch, which works as a companion app for the iPhone. Zulily’s Apple Watch application is based on a bookmarking feature. Customers sift through the daily events from the smartwatch, bookmarking the most interesting sales for the later viewing on the smartphone. Of course, it is not a pure shopping experience, but a great example of how wearable device can simplify and personalize it by being included into the process. Amazon is the closests to the target. The company provides its customers with the ability to use voice search and different tap features to purchase goods and save them to the wish list. Amazon’s 1-Click purchase feature turns Apple Watch into valuable shopping tool. It may be not so informative as its mobile counterpart, but Apple Watch application for Amazon still provides enough details despite a small screen. It shows name of a product, its price, shipping information, ratings, and other product data. 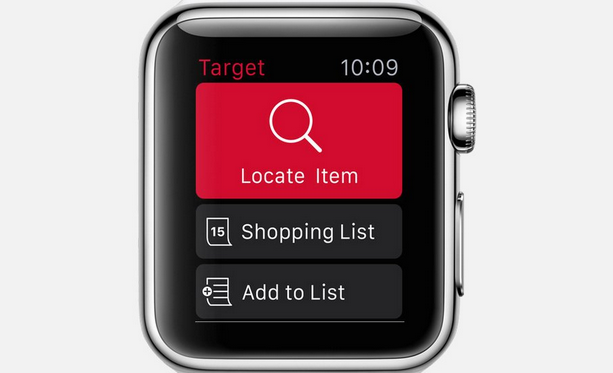 Another important example of how Apple Watch can be utilized is implemented by Target. The smartwatch can be used directly in the store. The appropriate app on Apple Watch is synchronised with a shopping list from the smartphone. When consumer is passing by the product from the list, Apple Watch prompts about a possible purchase. Experts are also talking about the replenishing of purchases. If consumer ran out of something, he or she could just tap a small screen to renew a previously done order. But such kind of activity is possible only with cheap products used in everyday life. More complex items have higher visualization requirements, so their purchase from a smartwatch seems barely real. Apple Watch and other smartwatches will be used as a new channel through which e-commerce companies can reach their target audience, connecting with both new and existing customers. The watch is just an addition to other touch points, and it is not going to replace the old ones. 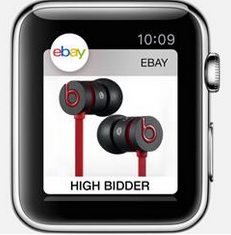 B2B aspect of Apple Watch integration into e-commerce is illustrated by Shopify. The platform provides its users with the Apple Watch application, which displays the most relevant data about e-commerce business. Shopify Mobile on Apple Watch provides information about sales revenue, volume of orders, and a more detailed overview of the store. There is also a notification system for new orders. As you can see, Apple Watch promises to ease access to shopping lists, improve the impact of push alerts, and simplify customer’s interaction with both online and offline retail. 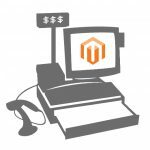 There are also a lot of new abilities for e-commerce store owners. Moreover, store personnel could use the smartwatch. The device can be utilized for more convenient stocking and folding. Bluetooth powered beacons also play a great role in future popularisation of Apple Watch. In this situation smartwatch is better than a smartphone, because a watch is always in sight. As a result, potential customers receive notifications right in time and never miss the offer. But what are the challenges? First of all it is the size of the screen. The delivered content should be adopted for the new dimensions. It is also necessary to take into consideration that consumers are going to wear Apple Watch constantly. That’s why it is important not to overload users with the information. Otherwise, they will ignore all attempts of attracting their attention. Despite these limitations, the content should still be informative enough for making consumers interested in offered products and services. The new taptic technology has all chances to change the smartwatch market. The taptic engine is responsible for the new way of interaction between Apple Watch and its user. It provides better tactile feedback, making Apple Watch prominent among other smartwatches. Unfortunately, such important component was defective, and Apple had to suspend the delivery of new device. 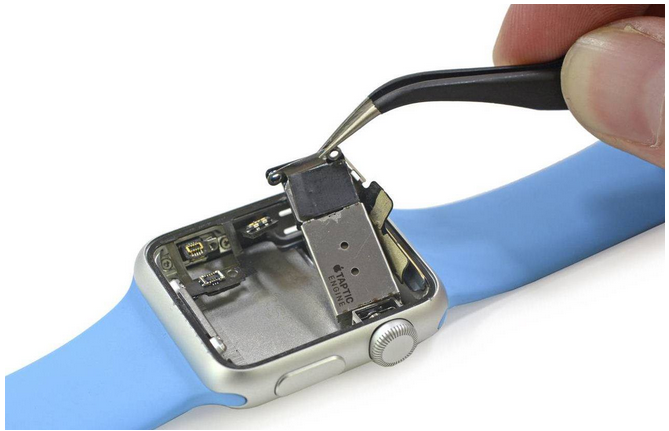 The taptic problem won’t tighten the supply of Apple Watch for long. It will require about a month to push distribution schedule back. Moreover, the shortage will even provide a positive impact on sales, but It’s unlikely to impact the popularity of the device itself.